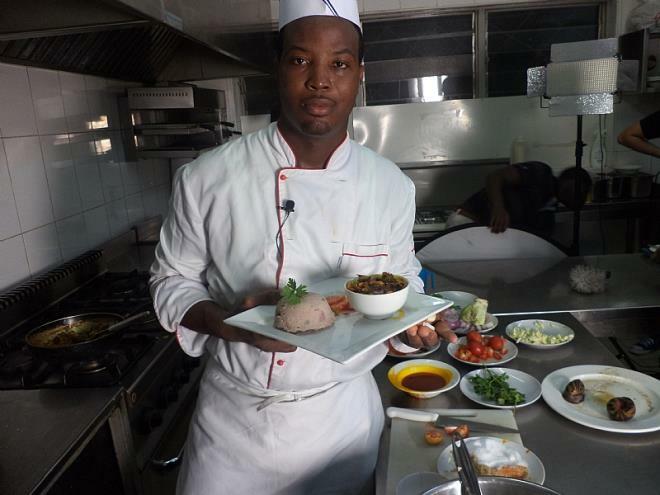 Ghanaian chef, Chef Elijah Amoo Addo has accepted a request by Queen Elizabeth to cook for her. Elijah Amoo Addo, a food stylist, was in the UK to receive the Queen’s Young Leaders Award for his contribution to community development in Ghana. “The most fascinating of it all is having to meet the Queen and for the Queen to ask me if I’ll love to cook for her which obviously I said yes. I’m going to cook one of our favourite dishes in Ghana, Waakye,” he said in an interview after receiving the award. Elijah was recognised at the event in Buckingham Palace last week for his Food For All Program, which is built on advocacy against food wastage. Through the program, he scouts for leftover foods from restaurants and food vendors to feed mentally challenged persons, and the needy. Elijah is among three Ghanaians who received the award among 60 young leaders in the Commonwealth. The other two are Winnifred Selby who provides bamboo bicycles and sanitary pads for deprived school pupils in the country and Efua Asibon. The recipients of the Queen’s Young Leaders Award spent some days receiving mentoring and training from the University of Cambridge’s Institute of Continuing Education in the UK.